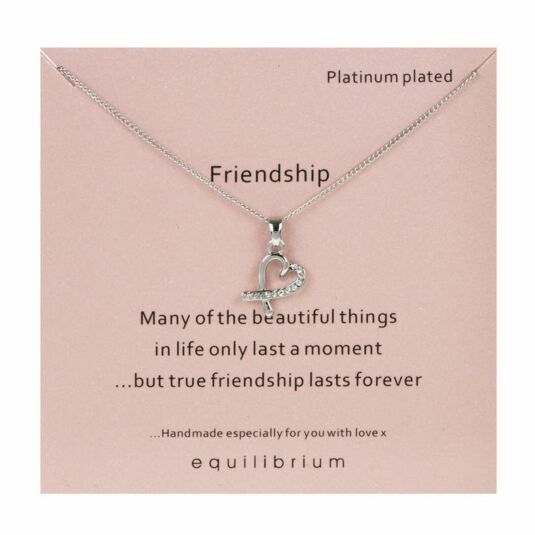 Show someone how much they truly mean to you by giving them this sentimental ‘Friendship’ necklace, the perfect gift they will treasure as a sign of your everlasting friendship. 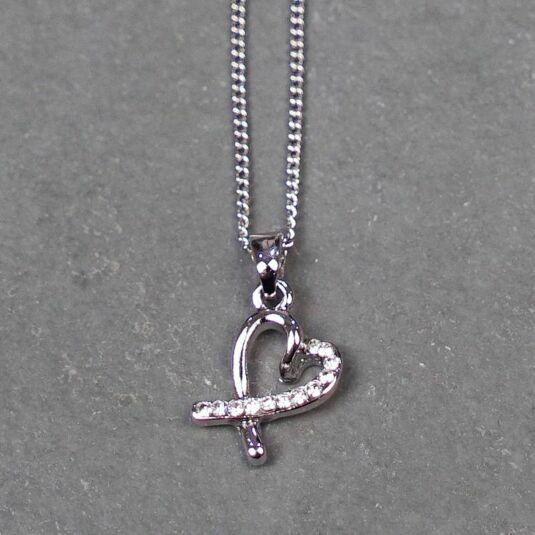 This handmade necklace is the most thoughtful way to send a message to the ones you cherish and love, with a platinum plated silver chain and attached intricate charm of a diamond jewel encrusted love heart symbol. 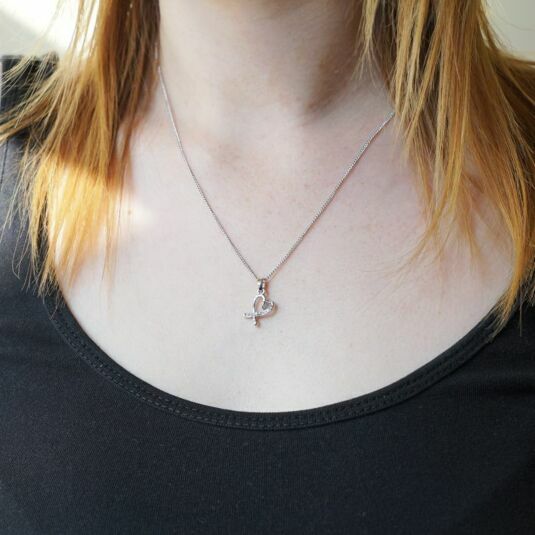 Give a gift you know will be received in the most appreciated way, with this truly stunning Equilibrium Sentimental ‘Friendship’ Necklace, the perfect gift to give to a truly loved and cherished friend.